Single photon emitter are light sources that emit light as single particles or photons. To characterize such a single photon emitter, the light source is probed for (anti)bunching. 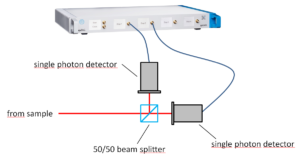 In this experiment, the incoming light beam is split up by a 50/50 beam splitter and the resulting beams are fed into two single photon detectors which are connected to a TCSPC (time correlated single photon counting) device (as our quTAG). 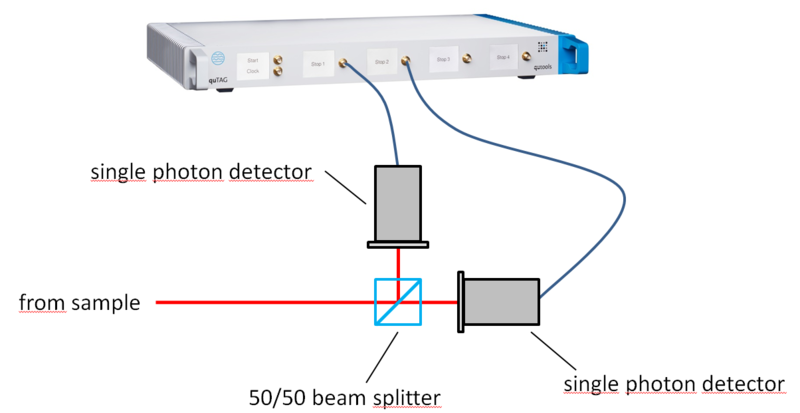 General layout for characterization of a single photon emitter. 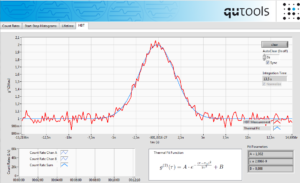 The time differences between the two signals are measured continuously and are shown in a histogram (in ps resolution). This histogram shows the second-order correlation function which has typical forms for different types of light sources. A single photon emitter shows an antibunching effect while a thermal source is showing bunching effect. A coherent light source shows no correlation effects (i.e. the function is constant to 1). 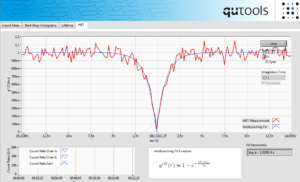 The quTAG software allows the user to easily collect the data for the correlation function and allows fitting the appropiate function (for single photon emitter, thermal sources and three-level-systems) with one click. 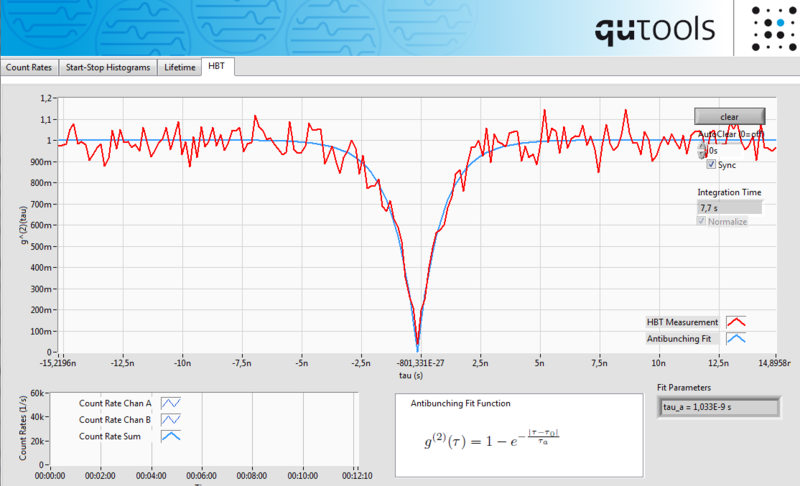 Antibunching effect typical for single photon sources. 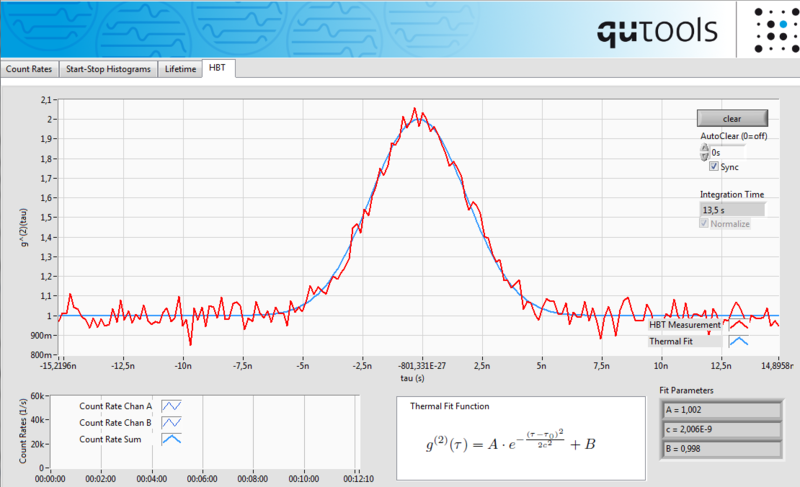 Bunching effect typical for thermal (non-coherent) sources.